Tomorrow morning I take my last final exam which wraps up my first semester back in school. It’s Algebra and it’s proctored online from a webcam at home. 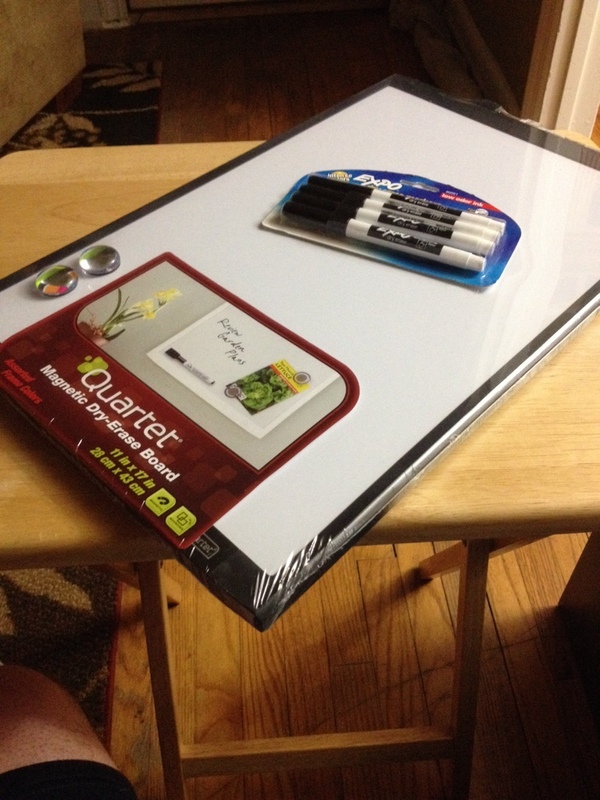 But you aren’t allowed to use paper so I had to buy a dry erase board. It amazes me that I am taking classes online and exams from the comfort of my home, but I have to practically use a slate and chalk when it comes to writing something down. So today’s pic is devoted to the advancements in technology we have had since I was last in college thirteen years ago. Good luck on the exam tomorrow!